I’m here to ask for your help guys. 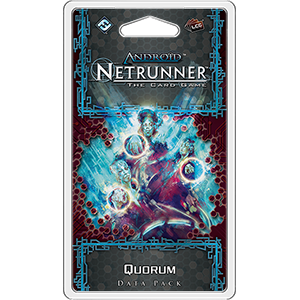 I got into netrunner a couple of months ago, before the jack out. No need to tell many of you how those news hit. But I enjoyed the game so much that I decided to invest in the complete card pool. I almost did it, but i’m missing two datapacks that are proving elusive, to say the least… Old Hollywood and Quorum. If anyone has access to this and is willing to send those to portugal, any help would be much apreciated. The problem here is the ludicrous S&H costs in the FF site. Anyone in Europe has access to these? I was in your exact same boat: got into Netrunner fairly recently, got hit by the news of cancellation, went nuts and started grabbing any pack I could reach. Quorum is still available on Amazon US but I’m guessing that won’t ship to Portugal. But if you haven’t give it a shot. You can get them both through ebay in German, Old Hollywood currently for 1 EUR. No English anymore! Miniature Market has a great backstock of Netrunner. They have Quorum but no Old Hollywood. I have no idea what their international shipping rates are, but I’m guessing it’s at least fair since they list FedEx and USPS as options.